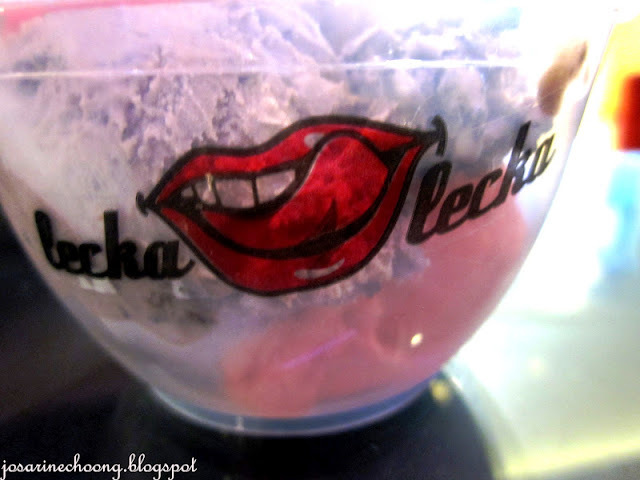 So the other day my friends and I were walking around Curve, and we saw Lecka Lecka and thought hey it's been a while since we had ice cream! Let's share one! 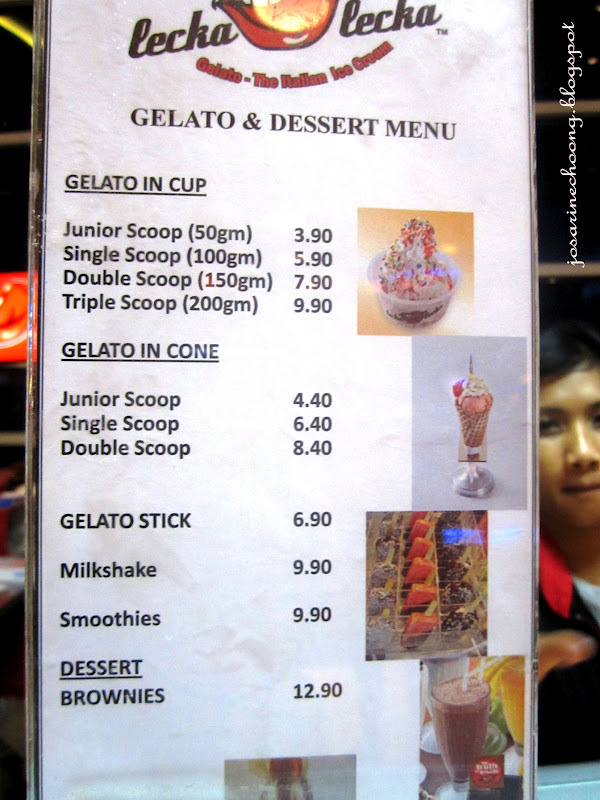 So here is just a recommendation of which flavours are good. We bought the Tripple Scoop for RM9.90. 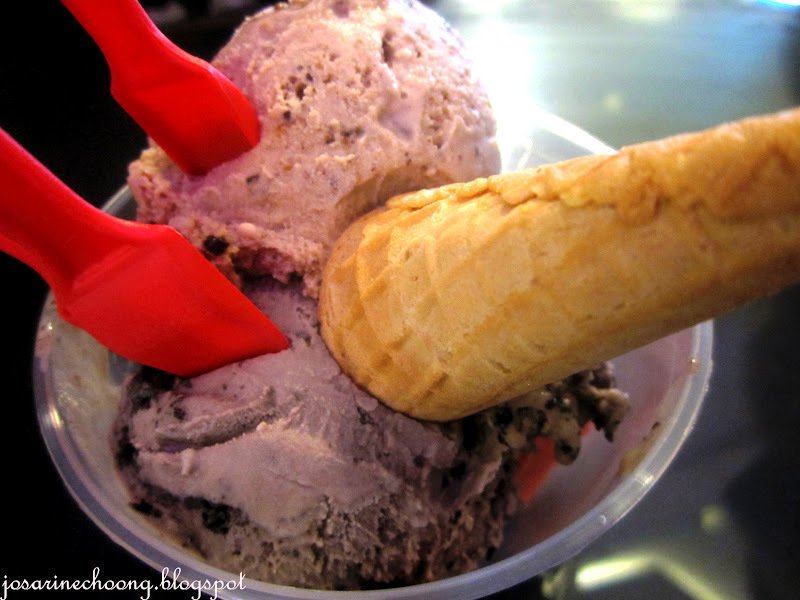 The scoops were kinda small though if compared to Baskin's, but then again, Baskin's is like RM8 to 9 for a single scoop. You should! :) It taste pretty good too actually... almost like Baskin's. me too .. I love strawberry ice cream ..
weird huh for a guy who like to eat strawberry flavour..